Yesterday I stopped by the grocery store to pick up mozzarella for a fun pizza making date with one of my best friends, Emily, (we’ve known each other since minute 5 of freshmen year) and I walked in right behind a man dressed in breeches, a buckled coat, and the oh-so-familiar tri-cornered hat. I’ve been playing “spot-the-colonial” (or in nerdier terms “spot-the-anachronism”) since my first semester here, but it never ceases to bring a smile to my face when I find a colonial reenactor in the grocery store, WaWa, or even a fancy restaurant. It is this wonderful reminder of the uniqueness of our campus fronting on Colonial Williamsburg. 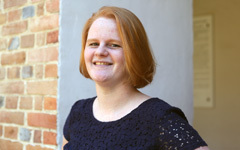 So today I am writing to urge you to come to W&M and go colonial! You don’t necessarily have to become a colonial reenactor, (although I’m pretty sure I spotted one of my freshmen dorm-mates dressed in colonial garb during my last CW (Colonial Williamsburg) adventure) but you MUST take the time to appreciate Colonial Williamsburg. First, Colonial Williamsburg is just a beautiful place to spend some time. On nice days it’s a great way to get off campus to bond with friends or even get your work done. 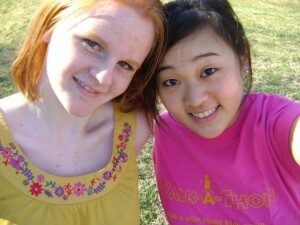 Here I am with my friend Grace, posing in CW on a warm spring day sophomore year. We’d spent the afternoon getting our reading done and even playing cards in a back field. 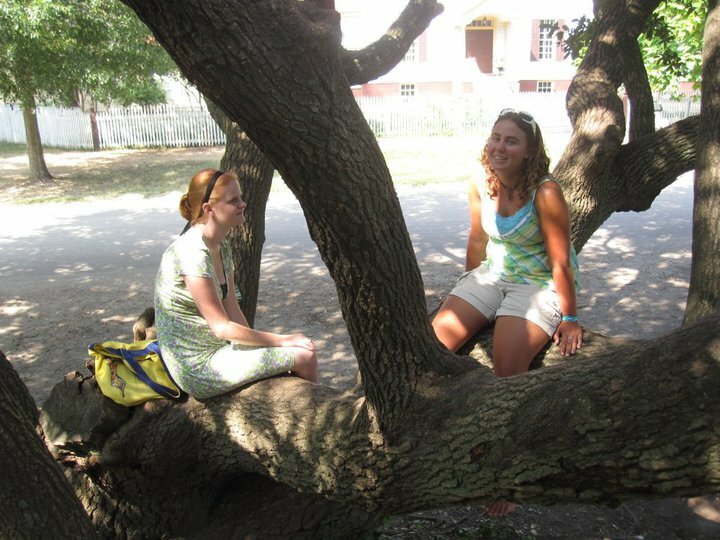 And while we’ve since learned that it’s against the rules of CW :(, I have many fond memories of sitting in the low branches of Colonial trees telling stories with my friends. And don’t worry–there are low-branched trees on campus as well :)! 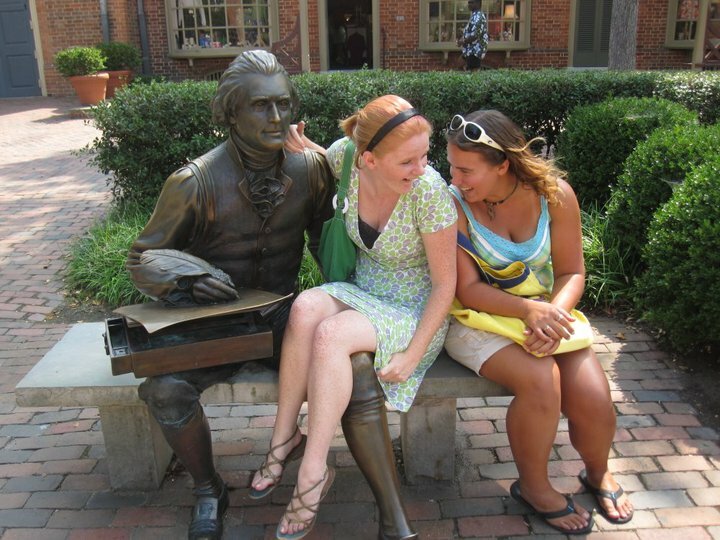 It’s also true that we have our own TJ statue on campus, but there are so many more poses to be had with a seated Mr. Jefferson. Last semester I became inspired to take evening strolls through Colonial Williamsburg, (it is conveniently a mile from the edge of campus to the end of Duke of Gloucester St) and every time I go home or into a big city, I am reminded of the great luxury it is to have this beautiful place to walk that is flat, public, and so easy to access. It’s a great place when you need to get away to think or even if you are trying to get away from your own thoughts. 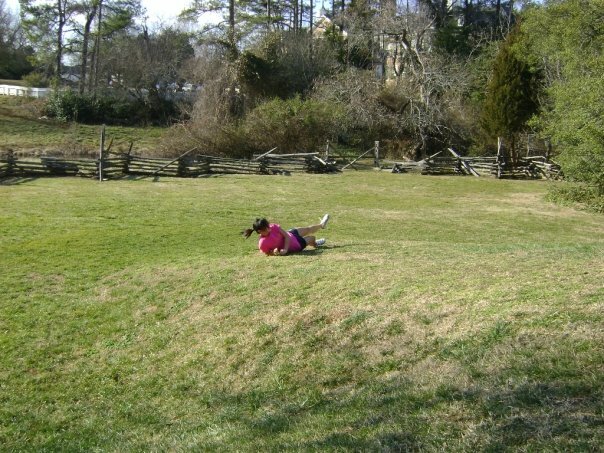 When I am frustrated or upset I can often be found power-walking through Colonial Williamsburg with my mp3 player blasting and a refusal to look back. If you need a reason to walk, might I suggest a CW mug. I know I already referenced these in an earlier post, but I love my mug. The $10 I spent on it has long since paid off with the unlimited refills of cider, hot-chocolate, and soon lemonade and ice-cream! Just a few weeks ago I found myself getting a refill with Joe, my friend and Orientation director from this past summer. We had both been relieved of tour-guide duty that afternoon, so we ended up walking back to our dorms together talking about senior year and the stress in our life until suddenly Joe exclaimed, “Do you have a CW mug? Let’s go get cider!” We ambled down DoG Street and discovered that we were right on time for one of their large afternoon reenactments (which, thanks to my student ID, are always free). I had promised myself that before I graduated I would actually attend a reenactment, and this was the perfect opportunity. After quickly filling up our mugs, Joe and I watched the Governor tell his colonial subjects that a group of rabble rousing hooligans (ok I admit, my words not his, but I can’t remember the colonial equivalent) had just dumped some tea in the Boston harbor so he was bringing more soldiers into the city. Joe and I had planned to return to campus after his speech (we both have a thesis to finish—eep!) until we saw on the schedule a scene titled “A Court of Tar and Feathers” and then actually saw someone carrying a bag of feathers. Judge us as you wish, but we so had to stay to watch that!! We watched the trial happen on an outdoor stage and were quite intimidated when one of the British reenactors came right up to us and demanded we speak up to keep the defendant from being punished, questioning how we could stand for such a breach of the court system and such barbaric punishment. She had a point, but no way were we going to stop it, I mean come on! (and we were pretty sure it wasn’t real hot-tar). But (and this is a major *SPOILER ALERT*) in the end no one actually was tarred and feathered. Disappointing. 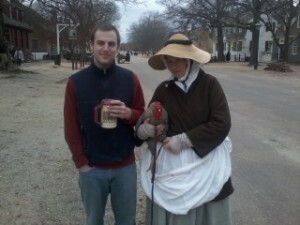 Honestly, the best part of the reenactment experience was Joe demanding that I take a picture of him with a reenactor carrying a chicken. 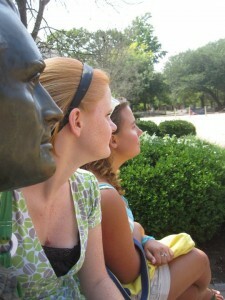 And even better, after he posed with her, three other families asked for a similar picture. Only in Williamsburg. So I’m telling you, join the Tribe and Go Colonial. Buy a bonnet, take a walk, drink your cider, pose with a chicken, and appreciate as much as you can the incredible experience that is having Colonial Williamsburg as your backyard.